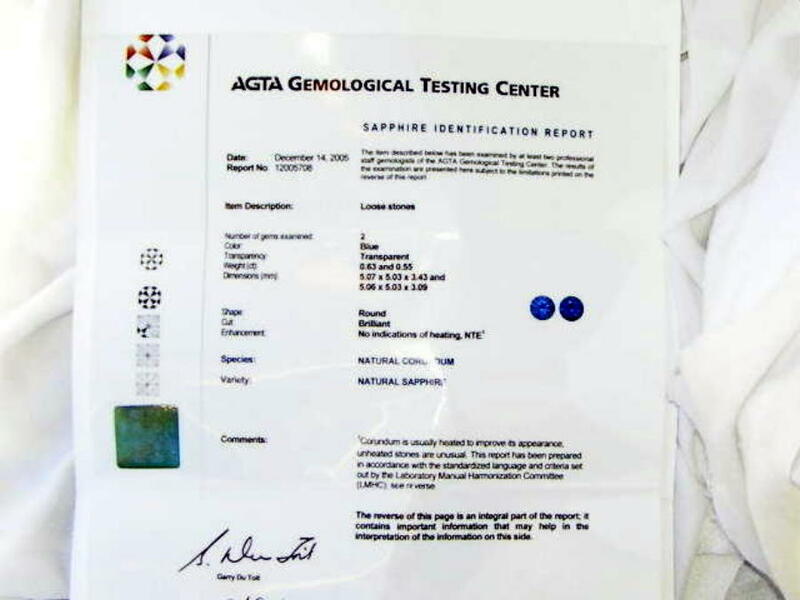 An exquisite pair of round brilliant cut Ceylon sapphires is certified as natural and untreated by the world’s leading colored gemstone authority, The American Gem Trade Association (AGTA). 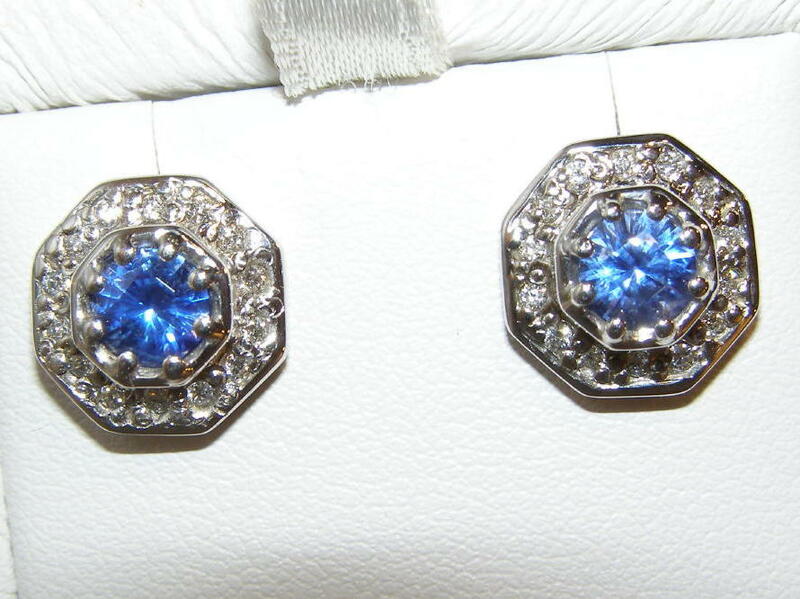 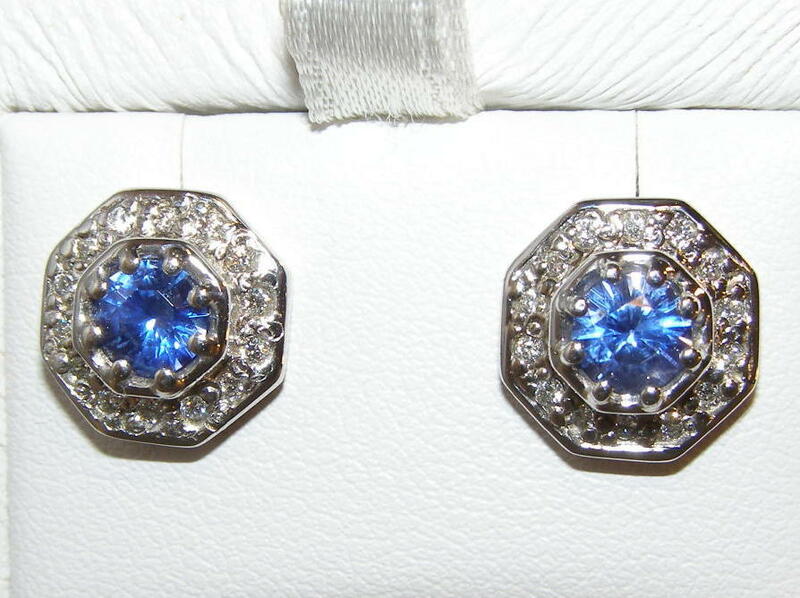 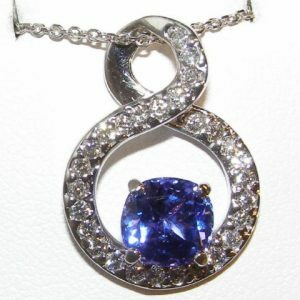 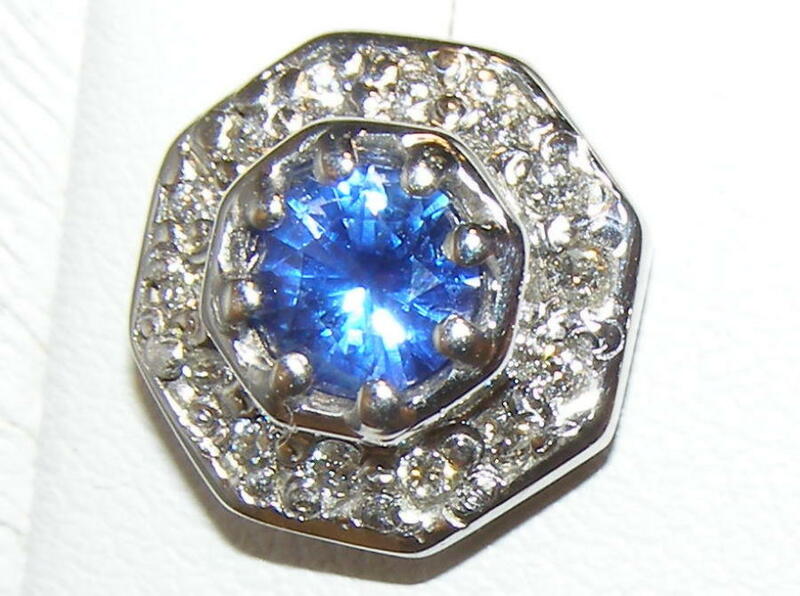 The pair measures 5.0 mm round, weighs 1.18 carats total weight and displays top cornflower blue color. 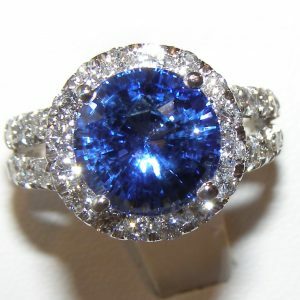 The precision round brilliant cuts and excellent clarity send forth bright blue brilliance. 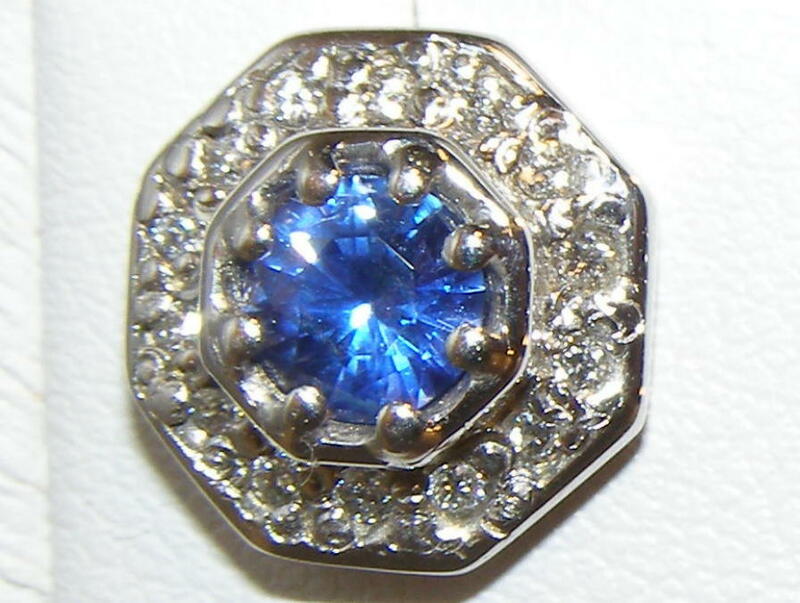 Surrounding the sapphires are channel prong set round brilliant diamonds that are 0.40 carats total weight and SI1 G quality. 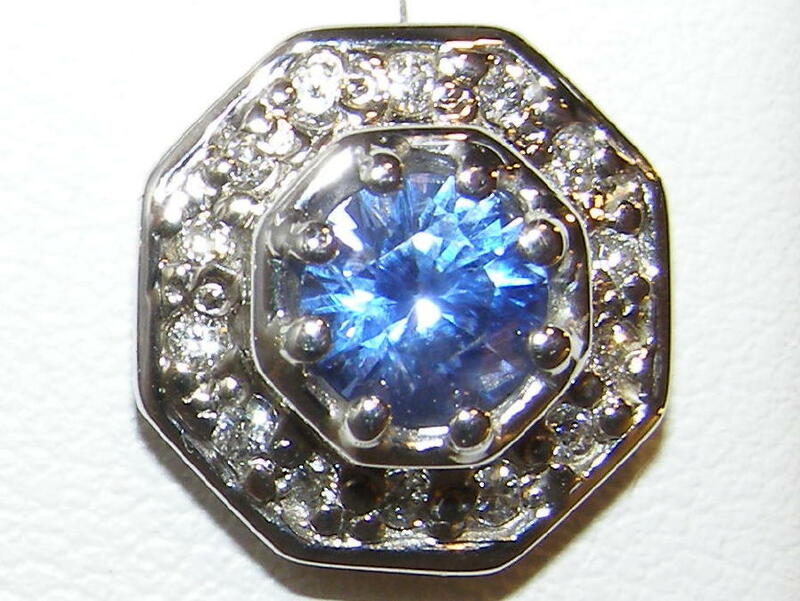 The elegant octagon gold earring frame measures 12.33 mm wide and the pair weighs approximately 5-6 grams of 18K white gold.